The software „Biofeedback“ enables you to make a fast, easy to understand and detailed biofeedback analysis of 43 organ reflex zones. The programme “Aura” contains many optical possibilities of presentation and a database for interpretations with texts and pictures. The programme “Chakra” provides you a Chakra animation and profound numeric values concerning the opening degree of the Chakras. It supports you in creating an effective and individual fitness training programme. This module is only available in combination with the Aura and the PhysioFit software. The programme supports you in creating an effective and individual fitness training programme. This programme is only available in combination with the aura software module. The Chromalive Programme supports your work with the Chromalive® Colour Light Pen. This programme is only available in combination with the aura software (module 2). The programme gives you a support in finding the right naturopathic therapy in an easy and fast way. The descriptions are concise and structured with vivid 3-D graphics and animations. This module offers many different naturopathic therapy proposals for every organ zone that have been worked out and verified by German naturopaths. 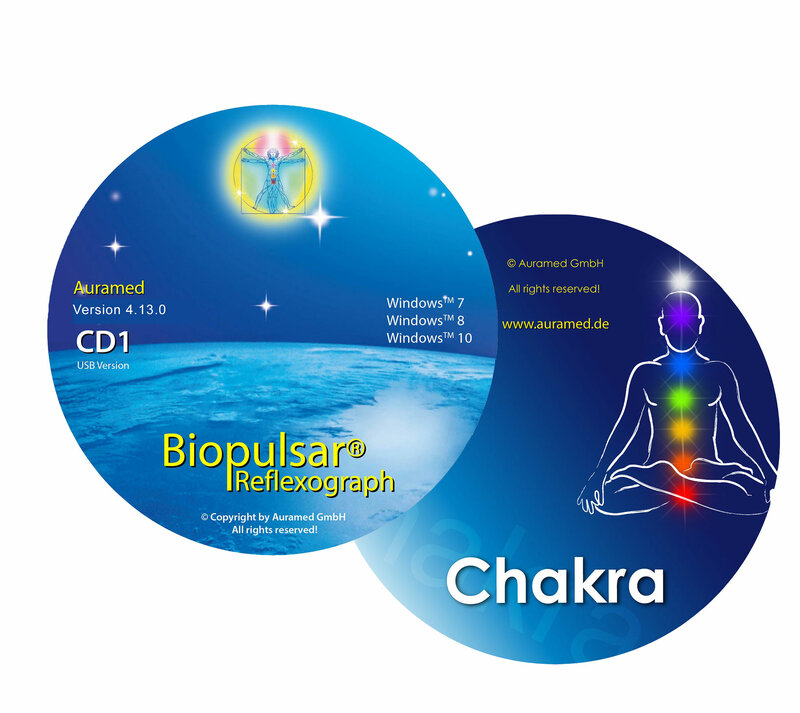 This programme is only available in combination with the aura software module 2. Besides the aura picture and the display of all organ energy colours a text printout (approx. 20 pages) with interpretations and proposals relating to depth psychology for life counselling is offered. This module qualifies for psychological and spiritual life counselling.